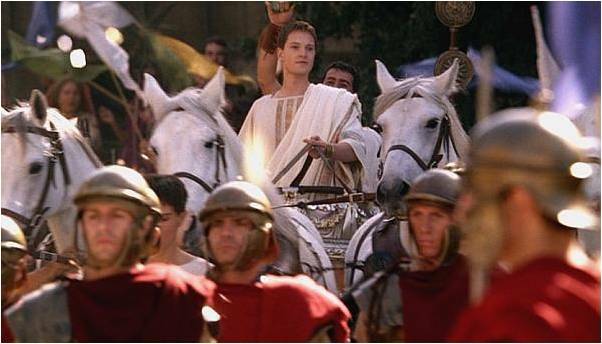 Fancy taking part in some Augustus-related research? As regular visitors to this web page will know, a major element in the Commemorating Augustus project is the conference on receptions of Augustus which will take place this August, over the bimillennium itself. Loads of really exciting papers are lined up for the conference, and I’m currently working on organising them into themed panels so that we can put the programme and abstracts up on this site. For the time being, though, two of the conference speakers need your help. Melissa Beattie and Amanda Potter will be giving a paper on audience responses to the characters in HBO’s Rome, and would like to interview anyone who has seen the series. You don’t have to be an expert on Roman history, Augustus, or television drama, or even to have a particularly in-depth knowledge of the show, to help with this. As far as I know, it doesn’t matter what country you are based in either. They are simply interested in exploring what viewers of all kinds made of what they saw. Did you watch the BBC/HBO series Rome? If so, would you be willing to take a short interview by email (around 30 minutes) for a research paper? Please contact Melissa at meb19@aber.ac.uk for details. Your assistance would be greatly appreciated and your identities and responses will be kept strictly confidential. Do get in touch with her if you fancy a nice chat about the series! Yet another awesome entry! Will contact Melissa now! I was a great fan of this series – fictional portrayals and all. I would really enjoy participating in this. Visual arts teacher that teaches an art history course. That’s great to hear. Do please go ahead and contact Mel on the email address given above. She’ll be very pleased to hear from you.